Update: November 5, 2013. 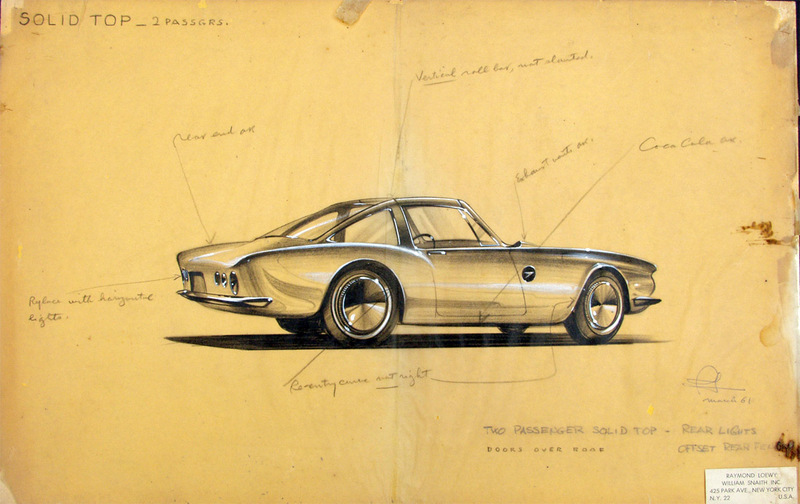 Raymond Loewy was born on this date 120 years ago. Google celebrated his birthday by putting one of his train designs on its front page. (And who says Google doesn’t respect designers). From Bonhams. 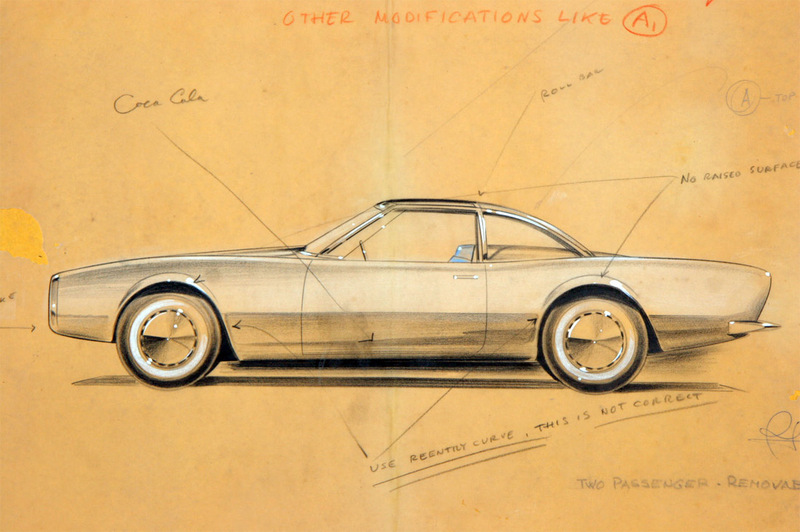 Concept drawing from legendary designer Raymond Loewy. If you look closely you can see the words “Coca Cola” noted on both sketches. Loewy redesigned the silhouette of the original Coca-Cola bottle in the ’50s, and designed the first Coke steel can. 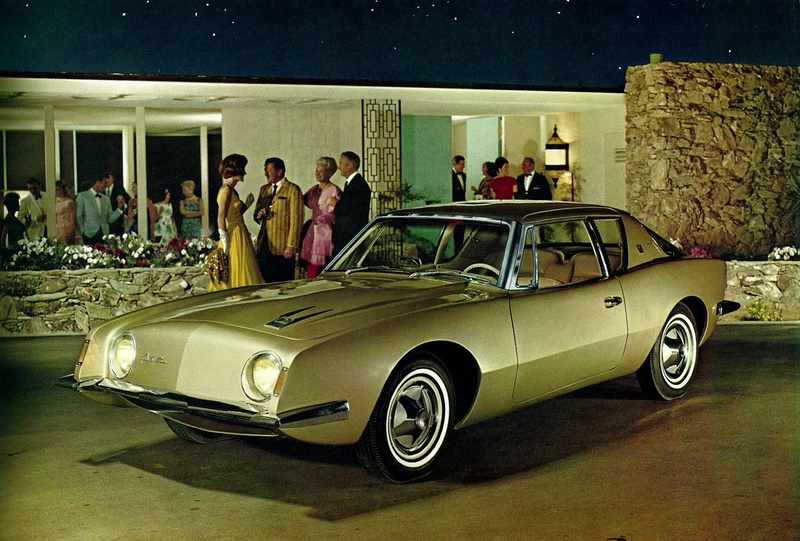 In the spring of 1961, Loewy was called back to Studebaker by the company’s new president, Sherwood Egbert, to design the Avanti. Egbert hired him to help energize Studebaker’s soon-to-be-released line of 1963 passenger cars to attract younger buyers. Despite the short 40-day schedule allowed to produce a finished design and scale model, Loewy agreed to take the job. He recruited a team consisting of experienced designers, including former Loewy employees John Ebstein; Bob Andrews; and Tom Kellogg, a young student from the Art Center College of Design in Pasadena. The team was sequestered in a house leased for the purpose in Palm Springs, California. Each team member had a role. Andrews and Kellogg handled sketching, Ebstein oversaw the project, and Loewy was the creative director and offered advice.